Icelandic tenor Kristján Jóhannsson has established himself as the a leading dramatic tenor of our time with his mesmerizing performances of Italian and French opera. His strong, secure and vibrant singing has made him especially popular in Verdi, Puccini and the verismo operas, as well as in heroic French roles. 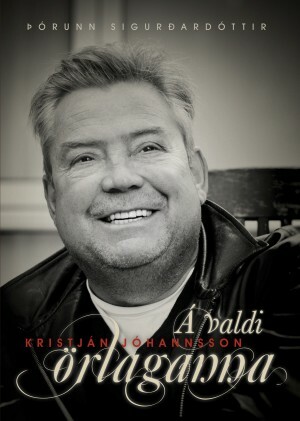 Johannssons biography was published in Iceland fall 2010. Available in Icelandinc only. Þórunn Sigurðardóttir skráir sögu Kristjáns en hún hefur komið víða við í íslensku menningarlífi. Hún er menntuð í leiklist og vann einnig árum saman við blaðamennsku. Hún hefur leikstýrt fjölda verka og hafði sömuleiðis getið sér orð sem leikskáld þegar hún varð listrænn stjórnandi Listahátíðar í Reykjavík. Þórunn starfar nú sem stjórnarformaður rekstrarfélags tónlistarhússins Hörpu.